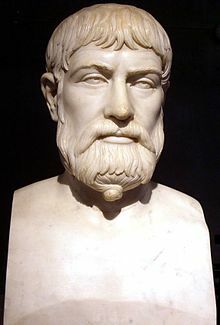 Pindar was an ancient Greek poet of Thebes. He was born in Boeotia, around 522 BC. He died in Argos, at age 80 in 443 BC. He is known for his odes in praise of athletes and their accomplishments but he wrote poems in many other forms as well. Wikimedia Commons has media related to Pindar. This page was last changed on 19 September 2018, at 09:36.